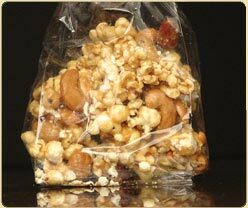 Nuts popcorn and butterscotch make a flavorful combination in this gourmet popcorn treat. 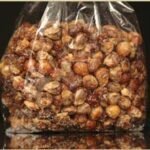 Patsy’s special candied nuts and popcorn treat is rich and indulgent combination of butterscotch, nuts and popcorn combined into the snack you won’t be able to put down. 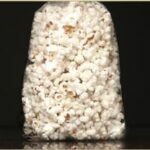 Available in the quantity you want, this gourmet flavored popcorn and nut treat is pleasing to everyone.